One predicted outcome of climate change is more frequent and intense severe weather events (today’s report in The Australian predicting the opposite shows only the paper’s ideological bias.) Given the likelihood, a conference called “Social Media in Times of Crisis” in Brisbane yesterday was timely. Organised by the Eidos Institute, the conference brought together speakers from academia, media, public relations and public affairs to discuss the use of tools like Twitter and Facebook in crises, particularly in the 2010-2011 Queensland flood event. Queensland Police Service media unit manager Kym Charlton was responsible for the delivery of a service that set the gold standard in crisis response. Charlton told the audience she set up the QPS Facebook Page in May 2010 without asking for permission. She admits it was a risky move in a notoriously risk-averse organisation but the page grew slowly through word of mouth. Charlton eventually realised she needed high level sign-off and approached her boss Deputy Commissioner Ian Stewart (who later played a leading role in the flood response). The tech savvy Stewart agreed to trial the page for six months and by December 2010 the page had 6000 likes. Early experiments such as live-streaming the funeral of an officer who died on duty failed, but the experience gained was crucial. On 15 December 2010, as Charlton laconically put it, “it began to rain”. Many people, myself included, signed up to the QPS Facebook feed in the days that followed as it sent out reams of useful and relevant information covering flood events across the state. On 11 January 2011, a torrent of water rushed through Toowoomba and into the Lockyer Valley below. Journalist Amanda Gearing later took the conference through a harrowing blow by blow of events in the region from her eye-witness perspective. There was a desperate need for credible and quick information about missing family and friends. 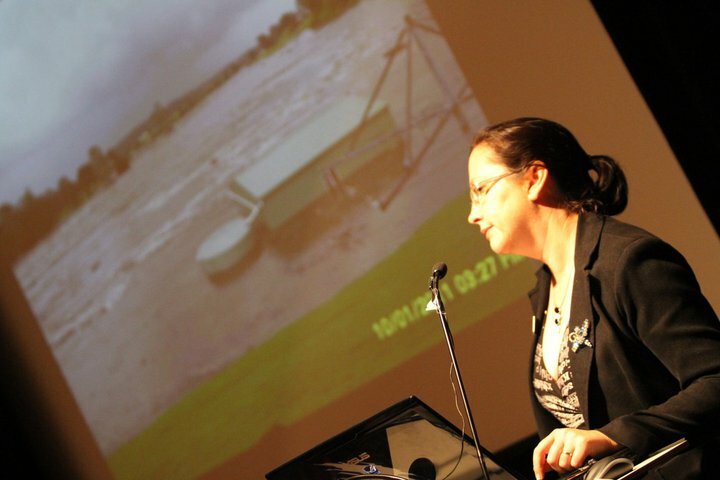 USQ’s Kelly McWilliam told the afternoon session how one person’s page Toowoomba and Darling Downs Flood Photos and Info was set up within an hour of the flood (well ahead of scanty official responses from Toowoomba Regional Council) as a repository of photos and information about the missing. It remains the most popular site with 37,000 fans. QUT’s Axel Bruns and Jean Burgess measured Twitter use of the #qldfloods hashtag. They noted a huge spike in tweets on the day of the Lockyer floods and an even bigger one when Brisbane flooded. The ABC’s Monique Potts told the conference how they used tools such as Ushahidi to map crowdsourced incidents in the flood (and later cyclone) region. On the day of the Toowoomba/Lockyer Valley flood, the QPS Facebook page was a crucial resource. 16,000 fans of the page became 160,000 in 24 hours as people across Queensland, Australia and the world desperately sought to get information about the disaster zone. There were 39 million views of the page that day, over 450 views a second. “Thank heavens it wasn’t our website,” Charlton said. “January 11 blew us out of the water.” The pressure remained intense to get timely and accurate news out all week as the wall of water headed towards Brisbane. Just as valuable as the information sharing were the QPS “mythbuster” posts and tweets which punctured many rumours. Then “after a week off” as Charlton put it, tropical cyclones Antony and Yasi struck the north coast pushing the QPS team into overdrive again. It was an astonishing effort for a team with just one acknowledged social media expert in an organisation with no official social media policy. Emergency 2.0 Wiki Project Leader Eileen Culleton (a survivor of Darwin’s Cyclone Tracy in 1974 when it took days to let the world know what happened) later told the conference a social media policy was a must for all organisations with a public presence. Culleton noted how Brisbane City Council galvanised the “mud army” to help the clean-up with their use of social media. For Charlton the QPS social media updates were simpler still; it was something they had to do to save lives. The conference’s final speaker UQ’s Mark Bahnisch put these usages in a social sciences context of “social resilience”. Disasters, said Bahnisch, expose our social structures more sharply than any other event. They unsettle us by taking us out of our normal rituals. But panic is rare, Bahnisch argues and there is a social good of new communities created out of the common bond of crisis. Social media go a long way to help creating those communities and, as the QPS found out, saving lives.